I have been so sick of my lamp for so long. But haven't been able to find one that I thought was worth the money. And due to the time of year am a bit more hard up money wise. 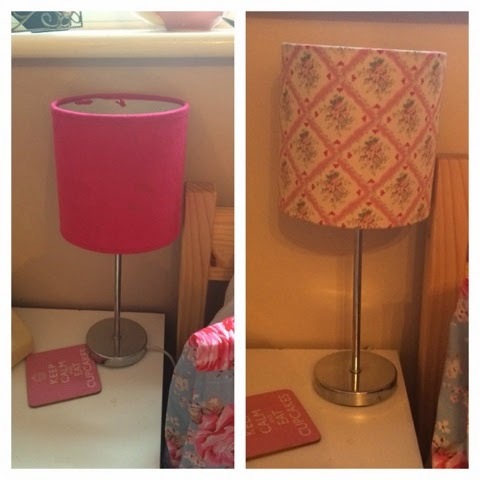 But sorting through my draws and found some material I liked and thought ooh that might revamp my lamp. So I cut it to size and ironed it to make it neat. And then just wrapped it around the lamp and used running stich to hold the material on. I am more then happy with it.